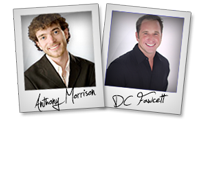 Anthony Morrison + DC Fawcett – Who Likes Money Affiliate Program JV Invite, More. Welcome to the JVNP 2.0 Weekend Update featuring a primary JV request courtesy of fellow JVNP 2.0 Partners Anthony Morrison + DC Fawcett (Who Likes Money affiliate program JV invite), Buzz Builders and More … in Today’s if it’s free FB traffic it’s for me edition. Stumble It! – Delicious! – Facebook! – LinkedIn! – Twitter! Hey, Fellow JVNP 2.0 Partner … Anthony Morrison here. And for the launch of a brand-new product I’m calling “Who Likes Money”, I’m pulling out all the stops once again – with over $50,000 in prizes… PLUS CPA-style commissions so you make and keep over $60 per sale, no matter what. >>> So clear your calendars, and visit our JV page, because you do not want to miss this one. Offer: We are spilling the beans on how we are making a killing with Facebook and free traffic! We are giving away $50.000 in cold hard cash, with contests big and small starting the minute Who Likes Money goes “live” on December 2nd at 9am EST. That means, whether you’re a superaffiliate or an up-and-comer, you’ve got a chance to walk away with a pocket full of “extra” cash. Remember, from the CPA payout model that lets you earn more and keep more… to $50,000 in prizes and contests… and reciprocation you can take to the bank… Who Likes Money is one launch you do not want to miss. >>> Visit the JV page for all the details, links and swipes, and mark this one on your calendar! The following Buzz Builders are Premium mailing recipient JV offers announced recently in the JVNP 2.0 Update that are either yet to launch, or are still in the pre-launch or launch cycle. To access the merchant’s JV page, a link to the forum archive of the mailing for discussion, VIP review access (when available) + more … please click the link below each Buzz Builder listing. The Biggest Forex Launch Of The Year. Russ Horn’s Forex Strategy Master launches November 19th. $999 physical product – 30% commission. Don’t miss it. Prelaunch starts November 12th and Launch Day is November 19th. Old Tree Publishing is known for highly successful launches and this will be our best yet. Earn up to $99 per sale with EPCs of $2-3 on this high quality internet marketing coaching program. We’re talking HUGE conversions and over $15,000 in prizes during launch week. Check the JV page for full info! Fapturbo 2.0 the legend comes back! Fapturbo sold over 80.000 copies and was the worlds most successful forex product. Time to repeat history! Join in! JV Contest $50K+ Cash/Prizes – Proven EPCs – High End Commish! Cart Opens: Monday, Dec 16th, 2013 at 8am PST. Winning launch strategy with $27+ EPCs for premium offer + Over $50,000 cash/prize giveaway for contest. Top sales and bonuses start at just 3 sales; committed. Support from some of the top players! Must see JV invite! What Do Old Tree Publishing, Chad Mureta, Alex Mandossian, Adam Horwitz, Ty Cohen, Jason Fladlien + Wilson Mattos, Len Wright + Matthew Lutz and Talor Zamir + GoMobile Solutions (Damien Zamora) Have In Common? They All Have Featured New High Ticket Product Launches +/Or High Ticket Evergreen Affiliate Programs. Do You Have A Mid To High Ticket Webinar Based Evergreen Affiliate Program JV Offer + The Ability To Send 500 Or More Quality Attendees To A Potential JV Swap Partner’s Offer? Mike Auton, Ricky Mataka + Chris Farrell, Maria Veloso, Rob Toth, Chad Hamzeh, and other fellow JVNotifyPro 2.0 partners are waiting in the wings … keep your eyes on your Inbox, and follow the action in the JVNP 2.0 Premium VIP JV Announcement archives. Subscription management options are located below. JVNP 2.0 Updates are mailed no more than 3 times a week, usually on Tuesday, Thursday + Saturday. Posted in Joint Venture Announcements	| Tagged Affiliate Marketing, Affiliate Program, Affiliate Program Directory, Affiliate Programs, Anthony Morrison, Attract Affiliates, Attract JV Partners, Best Autoresponders, Best Email Marketing Services, Best JV Brokers, Buzz Builders, DC Fawcett, Find Affiliates, Find JV Partners, free social media traffic generation, Home Business, Internet Marketing, Joint Venture Blogs, Joint Venture Forums, Joint Ventures, JV Announcements, JV Blogs, JV Forums, JV Invite, JV Launch Calendar, JV Product Launch Calendar, JVListPro, JVNewsWatch, JVNotifyPro, Make Money Online, Marketing, Mike Merz Sr, New Product Launches, Niche Marketing, Online Business, Product Launch Calendar, Who Likes Money?, Work At Home	| Comments Off on Anthony Morrison + DC Fawcett – Who Likes Money Affiliate Program JV Invite, More.